I thought I’d take another look at Betfair Arbitrage, as It seems to have fallen out of favour over the last few years. When Betfair had recently launched, Betfair Arbitrage really hit the Imagination of gamblers. In laymens terms, all Arbitrage means is that you can cover all outcomes and still make an edge. The term is generally used in the financial markets, although It’s now being used more in online marketing. In the early days, people would scour bookmaker sites manually In order to find arbs. As you can Imagine, this took hours to do each day, but technology soon caught up. Some really smart cookies started making “odds comparison” websites which highlight, at a glance all bookie odds together. The first viable software that I saw was sold on Ebay, and covered a very small number of bookmakers. Unfortunately, the refresh rates were quite poor, so when you spotted an Arb opportunity, by the time you got to exploit It, the odds had shifted. As there’s only a small edge (usually up to 5%) even the slightest odds shift can turn a guaranteed profit Into a guaranteed loss. Even now, If a bookmaker Is out of line, within ten minutes they’ll have caught on that they’ve been too generous. This small window Is the Arb hunters opportunity to make money, and they move fast to exploit It. To get started, I know that most services recommend a bank of at least £500. In my mind, that wouldn’t even scratch the surface, as you’ll need lots of accounts and there’ll be money continually moving between them. Even using an e-wallet facility like Skrill, It’ll still take days to withdraw funds, and that limits the amount of capital that you can bet with. If you’re a hobbyist then that’s fine, but In oredr to make a living from theis, then you’ll really need to up your game. Personally, I like to know where my funds are at all times and I’m put off that the odds move so quickly. I read a blog last year of a guy that made a living from Arbing. I can’t recall exactly, but I believe he was making around £18000 per annum. That’s ok money, but there’s a lot of work Involved to get to that level. I know that some people do well out of Arbing, In fact I uncovered an Arb service called Rebel Betting. Having looked at the service, It’s not cheap, but It Is the most comprehensive that I’ve seen. I’m not going to review rebel betting, but from what I’ve seen, It’s really been designed for the professional Arb Hunter. The cost is € 129 monthly or € 799 for the whole year, which appears a little pricey. Generally speaking, sports arbitrage has always been done between just bookmakers with misaligned pricing. The betting exchanges have added an Interesting twist, as generally the odds are better (even taking commision Into account). This extra value allows for more arb opportunities, and more profitable ones. Again, the key to arbing is high turnover low profit. It’s not uncommon for arbers to turnover £300,000 a month in bets. Before thinking I’m mad, It’s the same bank of say £5000 being bet again and again and again. The higher the turnover, the higher the profits! The downsides to arbing and matched betting to the greater extent, are that It’s really boring. That on it’s own Is not enough to dismiss It, but again, you’re at the whims of the bookmakers to the greater extent. If your account gets limited (gubbed) or In my case closed, then your ability to earn Is somewhat restricted. Of course, It’s not fair, but bookies don’t like winners, or people that can generally outsmart them. One clever way that I’ve seen, Is the use of “Sharbing“. Sharbing Is where you use the high street bookmakers to arb your bets if your online accounts are spent. 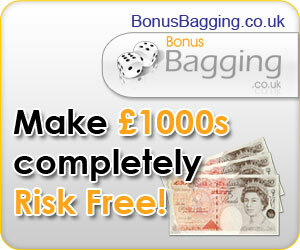 You place your bets in the betting shops or combine them with your remaining online accounts. Mobile phones allow bets to be made quickly and efficiently now, I think the bookies would raise an eyebrow if you got your laptop out In the shop lol. I know that the most successful sharbers work in pairs, one working the shops while the other hedges the bets online. It’s really an Innovative way to overcome the gubbing problem. The main downside Is that you’ll be handling a lot of cash, and In this day and age, It’s quite risky. The purest form of Betfair Arbitrage is simple Betfair trading. You cover all outcomes and make a profit. You only need a Betfair Account, and your money stays In one place at all times. You can’t get restricted, and you decide your own Income. That is why most arbers and matched bettors trend towards Betfair, once their accounts are restricted. It just makes sense really.